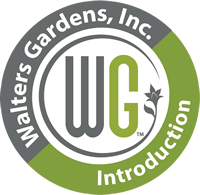 Barb's Picks | Walters Gardens, Inc.
Want to see what's hot at Walters Gardens, Inc? Check out Barb's Perennial Picks of the Week! This photo flyer shows a select group of perennials that are looking great this week. Don't miss out on these hot items! To view a current availability, click the link below. PHLGGG1, PHLGG72 Large panicles of hot coral-pink flowers on dark stems. PHLFCG1, PHLFC72 Pure white flowers with a faint light purple eye. PHLPIG1, PHLPI72 Fuchsia-pink with a darker pink eye. PHLCLG1, PHLCL72 (Tall Cushion Phlox) A brand new Phlox that combines the color of Tall Garden Phlox and dome-like habits of Cushion Phlox. Dark purple buds open to lavender-purple flowers with bright pink eyes, covering a broad, billowy mound nearly all the way to the ground. Excellent disease resistance; broad, glossy, dark green leaves stay clean all summer long. All propagation prohibited. PHLWEG1, PHLWE72 Snow white flowers with a prominent magenta eye. PHLREG1, PHLRE72 Intense red flowers. PHLBEG1 (Tall Garden Phlox) Pale pink flowers with a prominent, hot pink eye zone. A reliable bloomer. Fragrant blossoms attract butterflies and hummingbirds. This selection has demonstrated a high degree of mildew resistance. PHLFLG1, PHLFL72 Pale lavender flowers with a lavender-pink eye. PHLPUG1, PHLPU72 Rich purple flowers with a small darker eye.